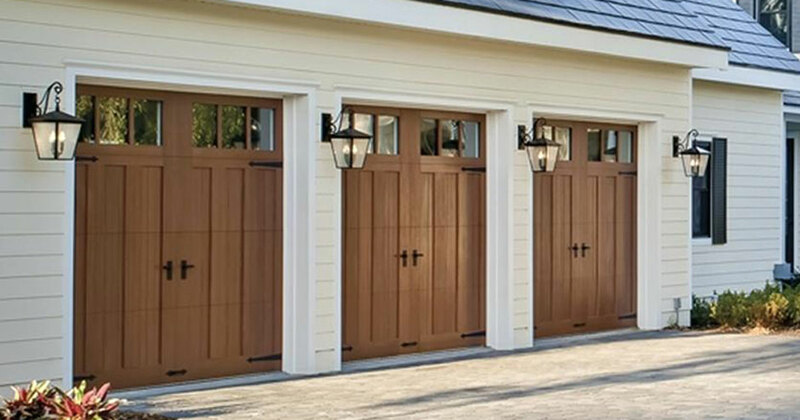 VA Garage Doors & Gates repair garage doors from all brands and makers in Alexandria Virginia. Many times our customers ask us if we can repair their garage door, since they are not sure if we fix their broken garage door, or they are not sure if we repair wooden garage doors. So we would like to make it clear: If it is a garage door in Alexandria, VA Garage Doors & Gates can fix it, and they can fix it today! From commercial heavy duty overhead garage doors, to residential garage door tune up, we can repair it. If your garage door spring snapped, the door is out of track, or if the opener do not respond, we are the answer for all your garage door needs in Alexandria Virginia and the area. There are many reasons that can affect a garage door and the way it is moving. It is enough that one of the rollers is damaged or broke, to take a garage door out of its tracks. When we arrive to inspect a broken garage door at for our customers in Alexandria, we often find that the problem started long before they contacted us, and if they would of contact a local garage door company in Alexandria on time, the repair could cost less than third from what it will cost now. So we always say and we will say it again, do not wait until it is too late, and until your garage door will completely stop working. If there is something wrong with your overhead door, if the cable is lose or damaged, the spring broke, the roller is bended, or if the door is making strong noises, contact a local garage door company in Alexandria to come and fix your broken garage door. Beside saving money, that you will spend if you will wait until the damage will be bigger, you will avoid putting yourself, or one of your family members at risk. We, at VA Garage Doors & Gates, offer same day garage door repairs near Alexandria Virginia, and since we carry the parts with us, like garage door spring or rollers, we can fix any broken garage door in Alexandria on first visit. It is important to make it clear that the information we will provide here is just general solutions, and it is not a recommendation to try and repair your broken garage door by doing it yourself, and it also can’t replace the opinion of a professional garage door technician that will come and check the door and locate the problem. Farther in this post, we will go over few attempts to repair garage doors by doing it yourself that didn’t end well, and luckily ended with no injuries. Keep in mind that garage doors in Alexandria Virginia can be dangerous, and misuse of the door can end with damage to the property, to the door itself, and even with injuries. If you are not sure, if you do not know what is wrong, or if you think that the problem is something bigger, use a garage door technician in Alexandria for the repair. It can be a garage door in Alexandria, or overhead door in Maryland, what makes it easy to lift and open even the heaviest overhead doors that weight hundreds of pounds is the door’s spring system. The spring system is also and what stop the heavy door from crashing into the ground and break. When one of the springs break, it is usually occurring while the door is closed (When there is the most pressure on the springs), sometime followed by a loud noise that make you wonder if the door is completely broken, that you will have to contact a garage door technician in Alexandria to come and replace it. But there is no need to worry, most times we can repair the door by replacing the broken spring with a new high quality spring. We have replaced countless amount of garage door springs in Alexandria, using high quality springs, from the kind that last for many years. 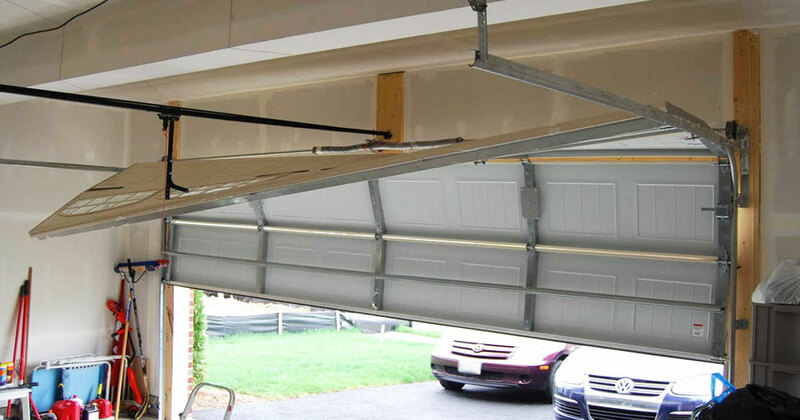 If your garage door in Alexandria is equipped with extension spring system, and hopefully they are secured with 2 safety cables, then the damage may be minimal, and a replacement of the snapped spring (Or both springs) will usually solve the problem. If you own a garage door which move with the assistance of extension spring cables, but there are no safety cables installed, contact a local garage door company in Alexandria to install them for you, or replace them by yourself. Although the safety cables are not necessary in order for the door to work properly, they are required by the law, to protect you, your family, or objects that may be near the door when the spring will break. We had a customer in Alexandria who refused to let us install safety cables for him. 4 months later one of the springs snapped, and part of the spring hit the windshield of the car that was inside the garage. Instead of paying 20$ for safety cable, he ended paying 585$ for new windshield. If you are not sure what kind of spring system operate your garage door in Virginia, look at the springs and you will know. The extension springs are located on the sides of the door, on the top of the tracks, while the torsion springs are wrapped around a metal pipe, and usually located at the center of the door. Every garage door has its own size of springs, which are calculated by the size and the weight of the door. If one of your torsion spring broke, please contact us for a same day repair in Alexandria. Do not assume that spring that “looks like”’ “almost the same” or any kind of assuming will make the door work. Not only that the door won’t work, you will put yourself at risk. Using the wrong spring is dangerous. 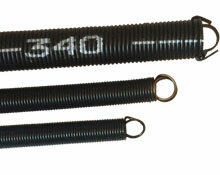 If you need garage door spring repair, contact a garage door specialist in Alexandria. 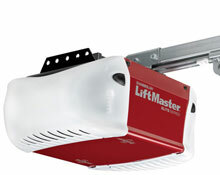 The garage door openers you can find in the market today - as long as you purchase a high quality opener (such as Liftmaster opener) - can last 20 years and more. If you think about it, it is better to invest in high quality openers rather than purchase a cheap opener that may need to be repaired or replaced in 3-5 years. 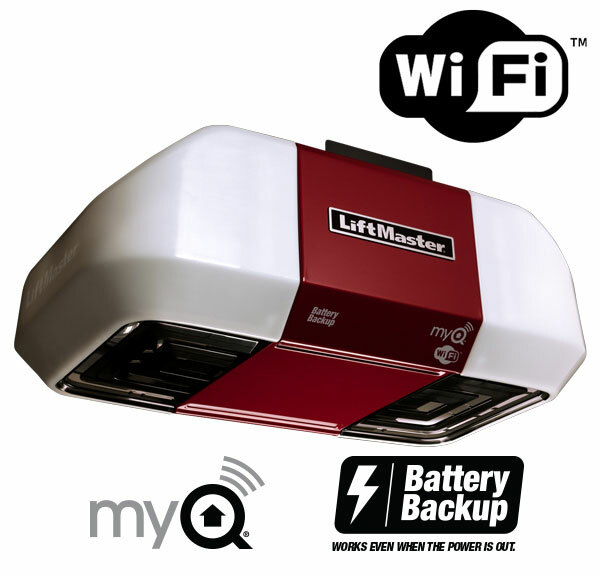 We install high quality garage door openers in Alexandria Virginia, like the Liftmaster openers, that can easily last for 30 years and more. One of the problems that prevent a garage door from working properly, whether it is a garage door in Alexandria, or garage door in DC, is a problem with the garage door safety sensors. Luckily, this problem is easy to repair. If you own an automated garage door that operate with an electric opener you will find 2 safety sensors at the bottom of the garage door tracks, or next to it. They are there for a reason, and the reason is your safety. The federal law require that every automated garage door, whether in Alexandria, or anywhere else in the US will include a safety feature such as the garage door safety sensors. The location of the safety sensors is right where people tend to put their cleaning materials or their gardening tools, and that usually end with one of the sensors accidently moved for its place, and break the invisible laser beam which run between the 2 sensors. If your garage door is coming down only half way, and reverse to open position followed by a signal from the opener that something is wrong, you may have a safety sensors problem, and you may need safety sensors repair. In most cases, the safety sensors repair is not complicated, and can be easily performed. You can try and repair them by doing it yourself, or you can contact a local garage door repairman Alexandria to come and repair the safety sensors for you. Whenever we are asked about do it yourself garage door repair, we like to tell the story about a customer who needed garage door repair in Alexandria: One evening we received a call from a terrified woman, who told us that her father locked himself inside the garage and he can’t come out. Of course that we stopped all projects and rushed to his home in Alexandria. We arrived and found that the garage door is down and closed due to a broken torsion spring, and that the person inside is locked since the door was too heavy to lift. We quickly started working and together we were able to open the door, which was a 2 cars heavy wooden garage door. Surprisingly, we found an old man outside who looked more amused than terrified. He told us that he watched a “do it yourself” garage door spring repair Video, where they explained how to replace a torsion spring. So the first step was to disengage the garage door opener, and so he did, just that the door was half way down, so once he disengaged the motor, the weight of the door pulled the door down and locked him inside. He was lucky that there is a company in Alexandria which was nearby and could help him in less than 20 minutes. Otherwise he could find himself waiting for hours for someone to help him. If you read the story we just told, you probably understand that we are not big fans of do it yourself garage door repair. But at the same time we do encourage garage door owners in Alexandria to do things by themselves such as lubricate their garage door, Repair a broken safety sensor, and other small repairs that doesn’t require special tools and professional knowledge. If you decided to repair your garage door by yourself, please make sure that you have the right tools, the matching parts, and please try to stay on the safe side. Remember: No broken garage door in Alexandria worth your health. If you are not sure, if you have a question, or if you think the repair is too much for you, contact a local technician for the service. Emergency garage door repair Alexandria. Out of track repair Alexandria. New garage door installers in Manassas. Residential garage door repair Alexandria. Commercial garage door repair Alexandria. Same day service near Alexandria. If you own a commercial garage door in Alexandria Virginia, you probably know that a perfectly working commercial door can save you a k lot of time and money, which you would of spend otherwise. 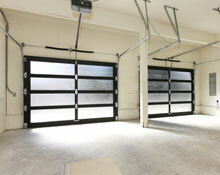 That is the reason we offer a same day repair service for commercial Overhead doors in Alexandria Virginia. If you are having issues with your commercial overhead door, the door need repair, but you are thinking to continue to use it, or to repair it by doing it yourself, we suggest that you will think again. 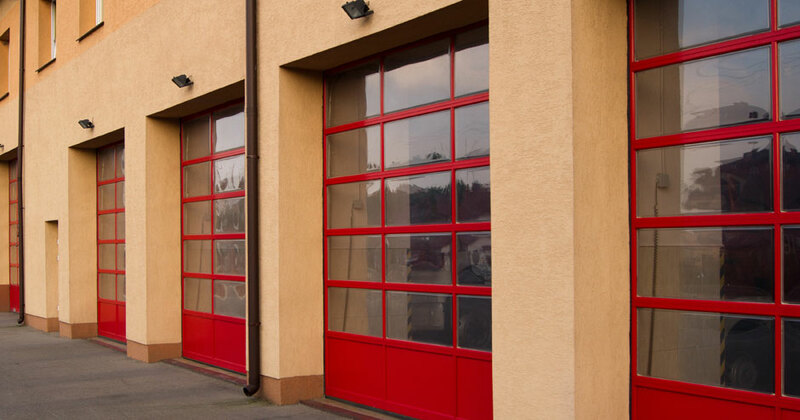 A commercial Overhead door, whether it is in Alexandria or a commercial Garage Door in Virginia can be very dangerous, and should be repaired by a trained and experienced technician, who carry the tools, and the right parts for the repair. The reasons that can make a garage door stop working and get stuck are many. And out of tracks garage door is one of them, and maybe the most dangerous of all of them. It require knowledge ion garage door repairs, and the ability to deal with different repairs. Whether it is a garage door in Alexandria, or anywhere else, off tracks garage door is extremely dangerous. If you will look at your garage door, you will find that the thing that holding the garage door on the tracks is no more than the rollers. When the roller jump out of the track, the door cannot, and shouldn’t be operated, until a garage door expert will put it back on the tracks. You may consider pushing the roller or the rollers back into the tracks, and not using a qualified garage door technician in Alexandria to do the repair, but that will be a mistake, since when garage door in Alexandria is out of tracks, there is a reason for that, and the reason should be taken care of before the door can be used again. If you will not address the issue, the overhead door can come out of tracks again, and the next time can be even more dangerous, since the overhead door can fall completely out of the tracks, and this is something you should avoid. When the door completely fall of tracks, it can hurt anything below it, and the door itself may break in a way that cannot be repaired. As we recommend: if there is something wrong with the door, stop using it, and contact a garage door company in Virginia to service the door. There are many reasons that can make a garage door in Alexandria jump outside of its tracks. But no matter what is the reason that made the door go out of the tracks, the important thing is to stop using the door and wait for a qualified overhead garage door technician in Alexandria to fix it. The reasons can change from one door to another, and from commercial garage door repair to residential garage door repair. What matter is that you will use a professional overhead door repairman in Alexandria for the repair, and that you will not try and force the door to open or close. Sometime the door may be completely stuck and sometime it can still be moved, but that doesn’t mean that you should try and move it. Someone hit the door with the car: The garages in Alexandria are relatively small, and not once we receive calls from people who tried to exit the garage, and accidentally hit the door with the car. In that case the repair can be simple or complicated, it all depend on the amount of damage to the door. We know that it may seem simple to push the roller back into the tracks, thinking that the door will work again. But what you do not know is that doing so can be dangerous, and the best thing will be to call a garage door repairman in Alexandria Virginia to fix the door for you, make sure that it is safe for use again, and only then get back to use the door. As we said, trying to operate an off tracks garage door is dangerous, since the garage door can fall completely out of tracks. Always use a professional technician for the garage door repair. There is a problem with the door mechanism: The garage doors in Virginia operate with spring system. It can be a garage door in Alexandria, or a garage door in Fairfax VA. No matter what door you own, or where you are located, do not use a broken garage door. If your door suddenly jumped out of tracks, it may be to several reasons, like broken spring, snapped cable, or broken roller. The important thing is to let everyone know that the door is broken, and call overhead doors company in Alexandria to fix the door for you. The roller is Broken: As we explained, the rollers are what connect the door to the tracks. And if you live in Alexandria, and you have been ignoring the need for garage door maintenance and lubrication like every garage door in Virginia need, you probably going to need garage door repairs service in Alexandria. But even if you did maintained and lubricated your garage door in Alexandria on time. Some of the garage door parts, like the rollers and pulleys need to be replaced once in a while, no matter how much you lubricated them. And using the door although the rollers or rollers are broken will make the door jump out of tracks again and again. Whether it is a commercial overhead door repairs, or residential garage door repair, do not use the door, and contact a local garage door company that service Alexandria to come and fix the door for you. How to open Locked garage door? It is never a good thing when your garage door in Alexandria is locked and you understand that you can’t open the door. And if your garage is detached from the house, it is even more frustrating, since you have no access to the garage, since the garage door is the only way to enter the garage. But there is no need to worry, with our emergency garage door repairs in Alexandria, we can open your locked garage door and fix the problem. There are two different ways to deal with a locked garage door, the first is if the garage door is attached to the house, and you have other ways to enter the garage beside the garage door itself, and the second is when the garage is detached from the house, and when there is no way to access into the garage except for the garage door. In this post we will go over the possible reasons that can prevent garage door from opening when you need it to, and the ways to deal with the problems. The information we provide here is partial, and doesn’t include all the possible reason that lead to a locked garage door in Alexandria that can’t be opened. But at the same time, we tried to include the most common reasons that cause the problem, and got your garage door in Alexandria stuck. 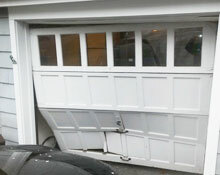 VA Garage Doors & Gates can repair any broken garage door in Alexandria Virginia today! When it comes to garage door service in Alexandria, whether it is a new garage door installation, spring repair, snapped cable replacement, or any kind of garage door service, you should address the problem itself as well as the cause to the problem. If there is a reason that lead to the problem, you need to take care of it as well. If the spring broke since it just got all, there is nothing much to do beside replacing it, but if it broke since the door isn’t installed properly, if the door hasn’t been maintained for a while, or any other problem, the technician need to take care of it as well. 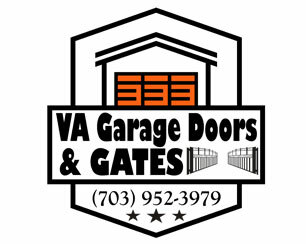 All the technicians of VA Garage Doors & Gates are trained, and have experience in fixing broken garage doors in Alexandria Virginia, and they know that they should never leave a location, without making sure they leave a door which is safe for use. Same Day Garage Door repairs Fairfax County Virginia! Service all garage doors brands in Fairfax County!